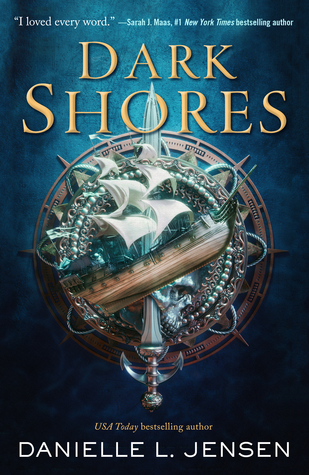 Piracy, blackmail, and meddling gods meet in Dark Shores, a thrilling first novel in a fast-paced new YA fantasy series by Danielle L. Jensen. I didn't like Jensen's previous series, but I am willing to try this new book. I hope it's good! While I enjoyed Danielle's previous series up to a point, I was extremely upset with how it ended. I ended up donating my copies. That's how disappointed I was. I'm honestly not sure if I am up to trying her books again after that. But I hope you will enjoy this one! Will definitely keep an eye out for your review since I know you didn't like her first series either. Ooh! I love the cover to this book! Great pick! It's great that you are willing to give the author another try. Hope it's a good one. I never heard of her other series, but this one sound good! It's on my TBR too! Great pick!